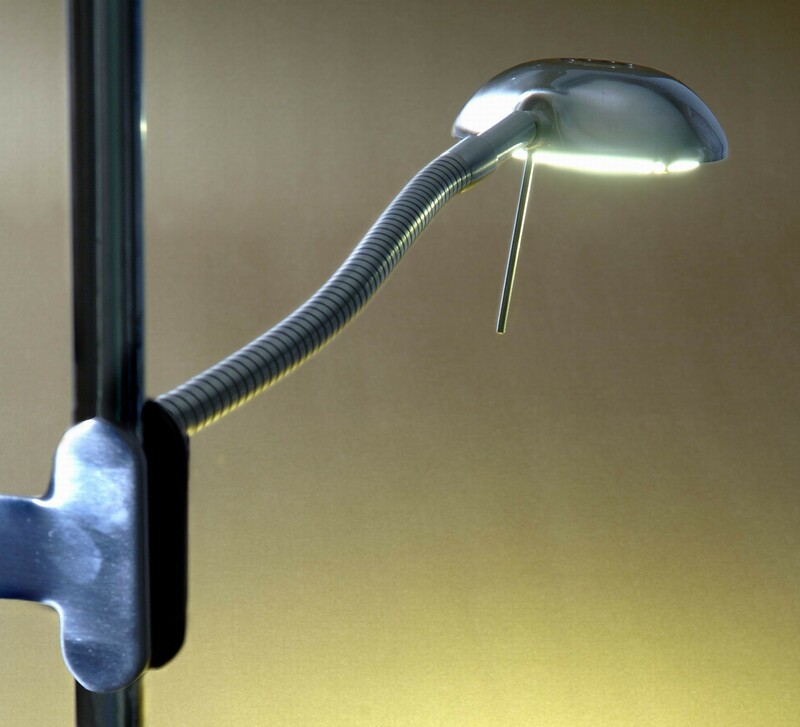 This versatile lamp has a flexible gooseneck mounted to a padded clamp that can fix the lamp to tables, desks, poles, doors, chairs and many other places. It is small and easily portable permitting needed light in virtually any place or position. The clamp can be rotated to any angle with respect to the lamp head for easy light direction. A hole in the back of the clamp is suitable for hanging the lamp on a hook, nail, or screw. The clamp can be secured on an existing floor lamp to serve as an LED reading lamp extension to the floor lamp.